Preteen Girl and Ghost Dog Story. Caro, 13. Fluffers, ghost dog. And weird Geela Gribbs. Ghost Stories for Kids. Preteen Stories. Stories about Friendship. Online Kids Books. Caro's Quest is about being thirteen, asking questions, friendship, the possibility of an invisible world - and adventure and mystery. A strange woman comes to stay in the cottage beside Caro’s home. With her is an invisible dog - totally and utterly invisible to Caro as well as to just about everybody else. Then in the middle of the night, a car hits a schoolmate and leaves him unconscious in the ditch. Caro wants to help find who did it, who left Jake to die. But how? How can she rescue anyone? She doesn't have a clue. It’s much easier to want to do something, she finds out fast, than to figure out how. Caro's favorite question. Over and over, Caro's favorite question is, how? How can you tell who's a real friend? How can anyone see an invisible dog? Is there such a thing as a ghost dog? How can there be? New friendships? Can Caro get the help she needs? Can she find anyone willing to do the sleuthing with her? Her two best friends aren't talking to her. She meets up with Doug, who does see Fluffers, and the weird Geela - and finds that some things aren't as fun as they seem to be, like solving mysteries. Where's the excitement and adventure when you have to hunt for clues that probably aren't there? Problems. It's great to imagine being a detective, but doing the detecting is - she hates to admit - boring. It takes all her determination to keep going. Even worse, how can she know that she will get anything done at all? She feels like giving up. What if she's just wasting her time, spending days with a dog she can't see and maybe shouldn't trust? After all, Fluffers is dead - or anyway, that's what Geela says. It's all very well hanging out with a ghost dog if you have magic powers. She doesn't - except maybe the least little bit when she's dreaming. And then Kats arrives. Kats the ultra-Goth, wearing black and only black. Kats of course has powers, or so she says. Nothing is simple when you're thirteen. Preteen Girl and Ghost Dog Story. Caro, 13. Fluffers, ghost dog. And weird Geela Gribbs. Ghost Stories for Kids. Preteen Stories. Stories about Friendship. Online Kids Books, Kids Stories. Friendship, mystery. 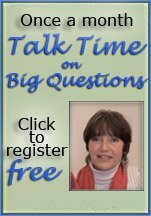 Questions: What is real? Caro asking herself questions about what is real. wondering which grownups are reasonably sane and which ones are nuts. trying to figure out answers that make sense. 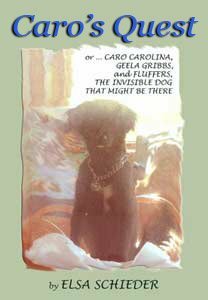 a preteen girl and ghost dog story for all ages. Preteen Girl and Ghost Dog Stories. Caro, 13. Fluffers, ghost dog. And weird Geela Gribbs. All in Caro's Quest. Ghost Stories for Kids. Preteen Stories. Stories about Friendship.